The title to this one pretty much says it all, I guess. Having knocked off basically what I’m going to finish of Spider-Man PS4, I figured it was time to go back further than six months in gaming. Metal Gear Solid came out 21 years ago. That’s properly retro, that is. But before I start, as is customary, a little spoiler space. Something… metal. Is this the worst metal song of all time? Discuss. My better half gave me a PlayStation Classic for Christmas, and I’d barely had time to do much more than check it powered on, so this morning I plugged it in and got to grips with the pre-installed games. Yes, yes, I know, easier to hack than the My Health Record databases and illicitly add whatever I want, and all that. But still, I rather like the thing for what’s on board, even if it’s not quite the selection I would have wanted. But back to Metal Gear Solid. It was one of the big PS1 era games, but curiously, it was one I never really clicked with. Indeed, the copy that’s on the PlayStation Classic is the first standalone copy I’ve ever owned; I’m pretty sure the collection version was on PlayStation Plus at some point, and I even think I randomly have a copy of the Twin Snakes version for US GameCube somewhere (it was stupidly cheap), but I never owned “the original” to speak of. Every few years, I’d dabble a bit, then something else would grab my attention, and I wouldn’t return. And if I’m honest, the last time I even tried was probably a decade ago. It’s been a while, in other words. Now, the obvious elephant in the room here is the oft-repeated “fact” that early 3D graphics haven’t aged well. Metal Gear Solid was, for its time, a very ambitious title, and it stretched what the PS1 was really capable of. The PS1 doesn’t do 1080p, of course, so this is actually *better* than it really is. Still, I think, it’s a mixed bag. Yes, the 3D models are janky by modern standards, but again, it’s 21 years old! Visuals aren’t everything, but they can help. 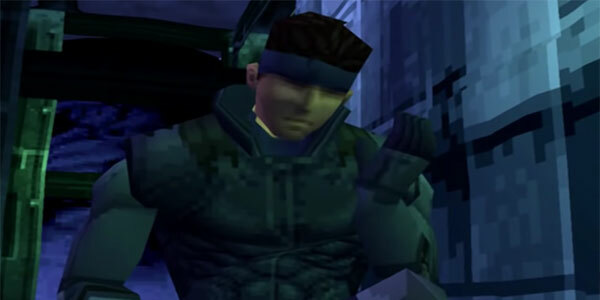 What struck me playing through more of Metal Gear Solid than I had before was that while elements like the discussions between polygonal characters whose faces simply never moved didn’t look good, the grimy, pixellated aesthetic actually suits the tense mood of the game as a whole. It’s Snake versus a bevy of enemies in the darkest corners of Alaska, and for that, the low-fi approach adds a level of tension that might not be there in pure 4K. It’s the equivalent of deliberately shooting in black and white for film, although of course that wasn’t exactly what Hideo Kojima was shooting for. It helps that while the visuals haven’t aged well, the quality of the voice acting works so very well within what is a rollercoaster ride of insane proportions in terms of the plot. Sure, it starts out as your basic military sneak-em-up, but then it gets… very weird. And I’m barely a couple of hours in! This is almost exactly how I started out playing MGS today, too. Right now, I’m rather hooked, and I’m being very good. I could watch the whole game on YouTube, I’m sure, or look up solutions to every challenge I face. I’m not doing that, instead playing “pure”. Which means, of course, I’m going to hear this a LOT. BREAKING UPDATE: I have, in fact, now completed Metal Gear Solid, and you can read all about it by clicking below!